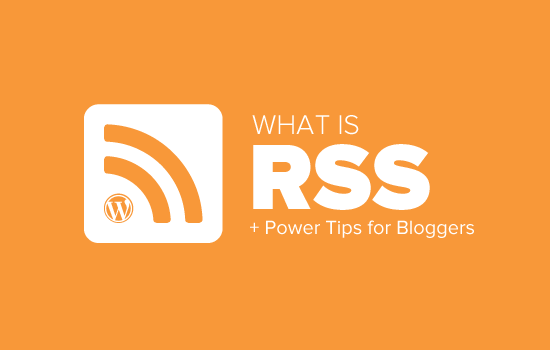 WPBeginner» Blog» Beginners Guide» What is RSS? How to use RSS in WordPress? Thanks for sharing this information. You explain step-by-step on RSS. Now I have got a clear idea about RSS. I’m new to this so maybe I’m not understanding how people subscribe. I’ve added RSS category subscribe links to my website using plugin. Why do the links open the feed url which shows an xml file. Is that how this woks? Do subscribers manually add that url to their reader? RSS feeds always show an xml file. Some browsers will open it as a feed but chrome and some other browsers will show the xml file. If you have a chrome extension that offers the feature to subscribe to RSS feeds, they will give you the option to subscribe whenever you open the RSS feed page. Thank you for your article. I have one problem. I use the feed of another website and show it on my website. At first, everything was fine but the problem is that when the source website post new article it would not show on my website. Their RSS is updated but I think my website made a Cach of RSS and it does not check updated RSS. Can you help me? Hi Ali, Curious if you solved your problem regarding RSS feed and adding it to you website. Did you find a solution to make sure it updates correctly ? If so please may I know what solution you used. Infact woudl like to know who you added RSS feeds as content to you site and then how did you ensure that everything stayed current. Did the previously displayed content still stay on the site or did the content get replaced as RSS was updated. Any help you be great. Hi. My feed is being delayed by 2 days and I do not know why. What is in the feed is not what is currently on the blog. Any ideas? Thanks. Hey there, I was curious if you could point me to where in wordpress I can go to make changes and manipulate my feed? Also I run a website with serveral different authors and several podcasts. Can I create a feed just off of one of my authors or podcast shows through wordpress? Any help you can provide would be awesome! Thanks so much! Please see our guide on how to add content and completely manipulate your WordPress RSS feeds. Thanks for the very helpful post. I have had difficulties with the RSS Feed but the sample code helped a lot. Please disregard my earlier comment. I tried many variations several times and finally got it to work. Again, thank you for posting so many helpful articles! you got recommended to me by a Go daddy support guy and I find you informations useful. once I get more into it I can give you more specific feedback. For now all I can say is that i was looking of this topic in order to locate and utilize the blog rss feed off my own site and couldn’t find any information on this topic in the article or anywhere else on your site. You may also want to see these tips to optimize your WordPress RSS feed. I have a self-hosted WordPress site (which should have an RSS feed automatically created as part of WordPress). When I try to go to mysite/feed, I don’t see any of the code everyone else keeps talking about. Nothing happens. It would be example.com/feed. I get a Safari pop-up that says it will add it to my shared links. Any advice? We were able to see your site feed and its working fine. You should try viewing it in Firefox or Google Chrome. You can find your website’s RSS feed by simply adding /feed at the end of your website’s address. Thanks for the great article on RSS feeds, i think this article covers all the basics and really get you in understanding how everything comes together to actually give you the feed. Thanks for the helpful video. It was short and on point. I have a question about RSS feed as it relates to duplicate content. Recently I had someone steal my content and post it on their site verbatim. I wanted to know if RSS can somehow be used to stop this kind of thing? If no, what’s the best approach to stop others from stealing my content in the future? Any help would be appreciated. First, you need to go to Settings » Reading page and scroll down to option ‘For each article in a feed, show’ and then select ‘Summary’. Don’t forget to click on save changes button. Now RSS feed will only show a summary of your article and if someone is stealing your content through RSS feed they will only get the summary. Thanks for the article i just want to confirm that through RSS feed it also easy for search engine to understand your site easily or just it is good for users point of view ? I have been trying to work out a problem getting my RSS feed to show uip in readers. 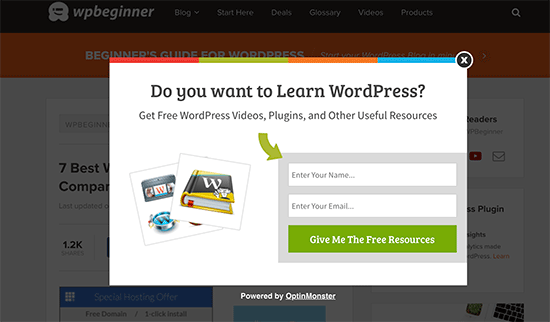 I already read wp beginners posts on this. My site is the latest version of wordpress.org and is created by using just pages. Since the wordpress RSS just displays posts, I installed the “improved include RSS” to include pages in the feed. But it seems there is a problem. I have tried 4-5 readers and none of them will display any content from my feed. It just comes up “no content”. When I use a validator to check these feed url’s, each time it comes up with a “404” – not found. I am totally lost now and I am beginning to think I will never have an RSS feed that can be useable. 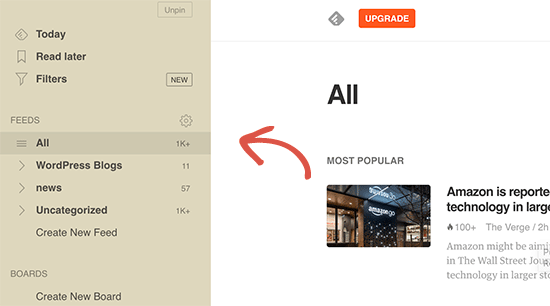 See our tutorial on how to add custom post types to your main RSS feed. Your pages are also a post type and you can add them using the code snippet in the article. Pages post type is called page. I cannot add my feed in mailchimp due to that blanc space and I don’t know how to quit it. Please see our guide on how to fix WordPress RSS feed errors. Thanks for the Help ! was searching for category wise feed and landed here. I want to place on the site backlink , which began edit CSS code that I comment is. Can you help me? FeedBurner has been deprecated a few years ago. 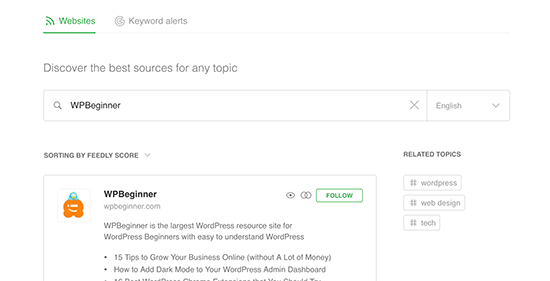 Take a look at Better RSS Feeds, it’s a WordPress plugin that styles your RSS feed and adds subscription links. I am still very confused by all this. Everywhere I go on the net I am told WordPress sites already have RSS and I just have to put a button somewhere. I don’t get this at all. Surely the button needs some code behind it for my particular site, or a plugin or something. It is nowhere to be found. 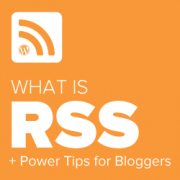 I really just want to know how to *set up* an RSS button on my blog. This has been the most challenging thing I have ever encountered in WordPress. There is no basic instruction on this. It is always about how other people access the feed, but not how I set it up. Here is a sample code that you can paste in a Text Widget on your site. Replace example.com with your own domain name. Also replace /wp-content/uploads/your-rss-feed-icon.png with the RSS feed icon you want to use. You can upload the icon by visiting Media » Add New. Hope this helps. I am SO lost. I am non-techy and then some. I’m trying to figure out the RSS feed thing and add the RSS icon, but I don’t know where to go or what to add. A problem with not followed feed links is showing in my google webmaster tool and if i going to open mysite.com/feed then nothing showing. Hello, this is usefull article, but I still have an issue. Is there a way to block certan twitter user from being subscribed to my blog feed? This guy pretends to be me, and my posts are automatically posted on his twitter. How can I protect myself from such people? This guy have even my domain listed like he is the owner. Is there some plugin or htaccess code to block just one twitter account from accessing my feed/rss or however he is doing this? 1) RSS feed is empty. Can you please help me, if you can figure out what the issue is. Nice article. Just wonder how to sort the imported feed not by the date but by a specific content inside. For instance the feed include word “I am the 1st” then it will be shown as the 1st position. Thanks for your advise.. I am not embarrased to say I didn’t know what RSS meant. Thank you, now I have some order in it. However, I still do not understand how to MAKE the site I am managing to send RSS. You put a code piece here of what it looks like. Where should it be found? Did I miss you directing to it? Also, I seem to have some sort of RSS feed running (as I said, I do not know how it does it, or how to control it). It just sends one line of text over the mail to all members, stating that there is a new entry, no links, no theme, nothing. How can I control what and when it sends? for instance, not to send on post edit? This stuff is really confusing to me. I was wondering if anyone responded to your questions. I had many of the same questions you had. If you were able to get some answers, would you mind passing them along? Thanks! I thought i knew what is RSS very well, but actually knew what is RSS after reading the post! Let’s face it – having knowledge does not in anyway guarantee the ability to pass that knowledge on! In other words, there are so many ‘tech’ people who always assume that everybody in the world speaks their language (techno-babble) – wrong. You people on the other hand, make sure you speak in a manner that novices and newbies like me can easily understand – Praise Be! Please keep up the VERY good work and never forget that your current style of explanation makes it possible for everyone to enjoy learning WordPress. Thanks for the very kind words Peter. Thanks for this article. I’m embarrassed to say that I didn’t know what RSS meant. I’ve been feeling frustrated and overwhelmed by the difficulty of developing a website to market my practice, but reading your articles is overcoming all that and helping me see the light at the end of the tunnel.